to Higher Meaning web site. What do we mean by “higher meaning”? Symbols (such as words or phrases) are meaningless without some association with contexts (such as definitions). The contexts give the symbol its meaning. A word can be used in a number of contexts that correspond to its obvious, literal sense. 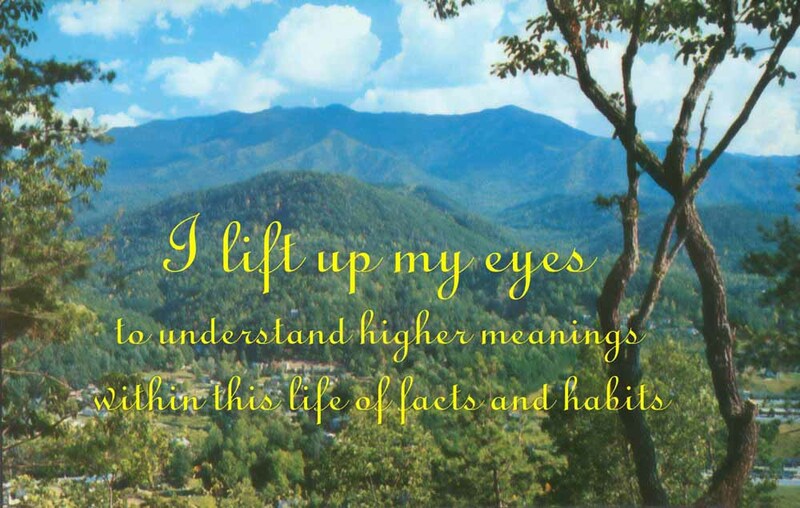 How “high” a meaning is depends on the importance, or value, of its context. In order to measure the relative height of corresponding meanings we need to agree upon a value scale. Of course that is impossible. Not everyone can agree on what is of most value. However, we can be more objective if we take a global view and consider what is most important to the welfare of the largest number of people. Better yet, let’s take a cosmic view. The Creator of heaven and earth set the values by creating a universal heaven composed of angelic humans from all globes. o God in the highest. o Next, that which relates to conjunction with Him in heavenly love. o Then that which relates to His angels in mutual love. o That which relates to human society in the spiritual world. o That which relates to human society in the natural world . o That which relates to the human mind and those who develop it. o That which relates to the human body and to those who stay bound to it. What do we mean by “correspondence”? o Emanuel Swedenborg, Teachings about Correspondences, from The New Jerusalem and its Heavenly Doctrine Index. o ANC Anthology, Bringing Correspondences Into the Curriculum, under the subtopic of DEFINITIONS of correspondence. o Browse the Papers button on the navigation bar. All the books and essays have some reference to correspondence(s). That web page also has a search engine.